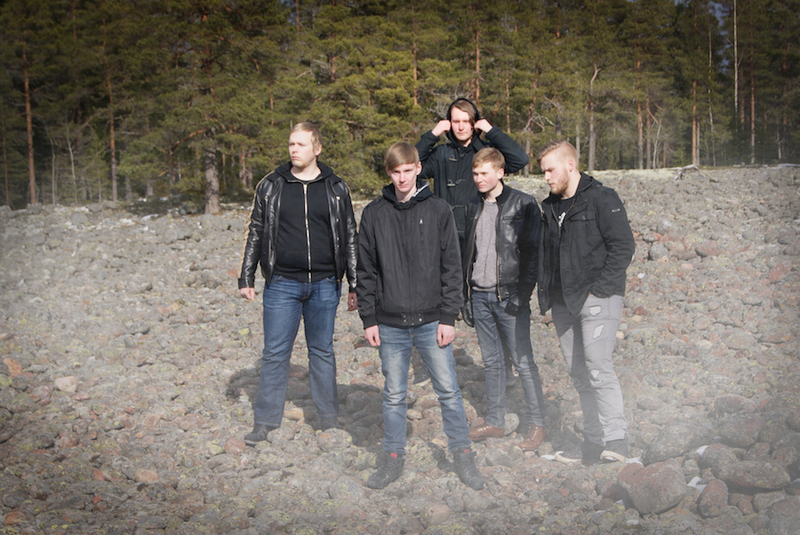 Although they undoubtedly fall within the melodic death subgenre, young Finnish band Dimman point out that they play ‘modern metal’, keen to distance themselves from categorisation. They bring in elements of metalcore, djent, progressive metal and even folk, all of which is beginning to crystallise into a sound that is uniquely their own. Formed in 2011 in Teuva, a small province of Finland, Dimman previously released an 8-track demo album, Poltetun Veden Pinta, in 2015, followed by a two-sided single in 2016. Now we have Guide My Fury, released on 25th August via Inverse Records, is an EP consisting of four songs plus a bonus orchestral track. The Finnish heritage is in strong evidence on this EP. Known for its folk metal (Turisas, Ensiferum, Korpiklaani to name but a few), Finland has a folk song tradition which lends itself very well to electric guitar melodies. The folk element rings out clearly in ‘Guide My Fury’ and ‘Pitch-Black Morning’; indeed the title of the latter is no doubt a nod to Amorphis’ classic re-imagining of the Finnish folk epic the Kalevala. Finnish melodeath also boasts a strong canon, and the frantic virtuosity displayed in ‘Pitch-Black Morning’ recalls early Children of Bodom, while references to Kalmah and Insomnium can be heard throughout. The risk with melodeath is that it can easily cross the line into cheesiness, or even descend into downright silliness. Dimman avoid this pitfall entirely, partly by keeping the synths to a minimum, and mainly by bringing in their metalcore and progressive elements. ‘Guide My Fury’ and ‘Pitch-Black Morning’ have the urgency of metalcore, with complex drumming and effective tempo changes, while the polyrhythms of ‘Harbinger’ border on djent. The vocals are pitched far lower than most melodeath vocals, and I found them very effective in bringing the ‘modern’ feel that Dimman are looking for. They work hard to give their music an emotional depth that is occasionally lacking from melodeath, and ‘My Head, My Prison’ reduces the tempo and brings in some clean singing and poignant keyboards, while avoiding becoming a full-on ballad. This doesn’t feel quite like a finished product, and as an EP rather than a full album some of it is a bit rough around the edges; for example the bizarrely weak percussive start to first track ‘Guide My Fury’ is a shame. It would be unfair to criticise the album’s production or artwork too much, because it was most likely put together on a very small budget. Indeed the mixing and mastering has been done to a good standard, and the songs are fully-fledged and well-constructed. 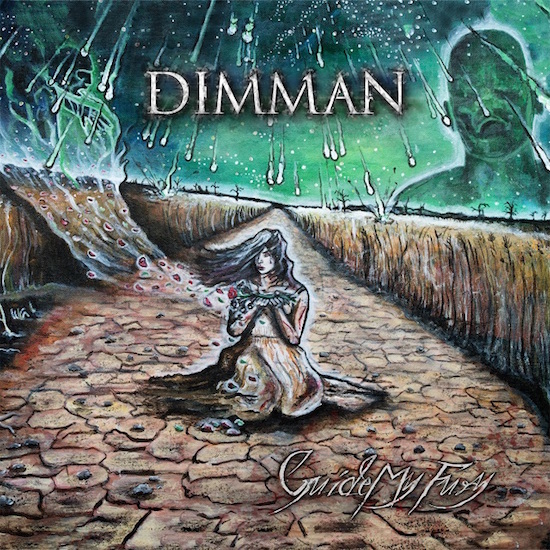 Dimman’s artwork is done by their bassist, who is clearly a talented artist, and the cover concept is great; although a fully-formed album might benefit from a graphic designer to polish it up. 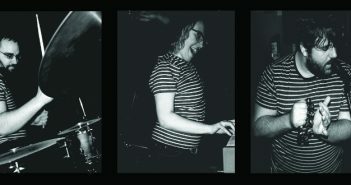 They simply haven’t distilled their ideas into a Dimman sound yet, and this will no doubt come with experience. The band have thrown in lots of concepts without fully committing to them and developing their potential. For example, slow sections, gang shouts and random scales and arpeggios are thrown in for effect, rather than arising naturally out of the songs, which causes them to sound a little cliched. Basically there’s an awful lot going on. There is huge talent and promise here though; and much to enjoy in all four main tracks, with ‘Pitch-Black Morning’ as the stand-out single. The EP could have done without the (synthed) orchestral version of ‘My Head, My Prison’, although perhaps the band is to be commended on taking a risk. Dimman will benefit from experience, and as their sound matures they definitely have the potential to take Finnish metal in a new direction. 1. ‘Black Winter Day’, which was released by Amorphis in 1995, follows a similar thematic and lyrical concept.